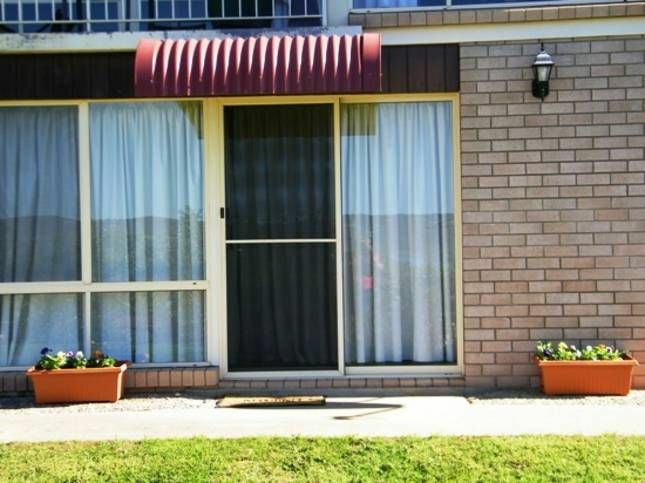 Beejays is a Self Contained Lakeview Apartment in the Heart of Jindabyne. close to Restaurants, Hotels & the Club. Enjoy your stay in our downstairs spacious and comfortable one bedroom unit. This lovely unit is suitable for up to four guests with facilities that includes a fully equipped kitchen, living area featuring a TV, DVD and CD stereo and leather lounges. The kitchen features all the cooking essentials for your hearty winter meals, with a microwave, full size electric stove including oven and a fridge. Some tea and coffee essentials are provided. Electric fan heating keeps you warm and cosy. All linen and bath sheets are supplied together with a few extra bathing essentials. The spacious laundry has a washer and dryer with enough room for ski storage. The bedroom features a lovely pillow-top queen bed. the second bed is a double fold out sofa bed in the lounge room. Lorraine and I purchased our house and apartment so we could holiday and ski in Jindabyne. then eventually move I into the house having a ski change from Sydney. We have now accomplished this. The property was newly renovated had beautiful lake views and our friend was moving interstate so we obliged by buying the property having often visited them and stayed here. The property is in a unique area has wonderful Lake views and is close to the town centre and of course the National Park and Ski Fields. Lorraine and Brian were great hosts. Apartment is clean and in a great location. Nice and close to centre of town. Happy to recommend this place to others. We enjoyed our stay at Beejays, it was a well appointed apartment. The only negative was that it was advertised as having two double beds when in fact their was one double bed and a sofa bed. Whilst the apartment was a comfortable space the sofa bed was not comfortable at all. Very clean home, close to shops and very easy to get onto the highway to go to the mountains. Lorraine and Brian were lovely and looking forward to staying again. Thank you we are pleased you enjoyed your stay. We hope you can return for skiing next year or maybe a relaxing summer break. My partner and I stayed for 4 nights in August and the unit was fantastic. It is in walking distance to the town, the kitchen has everything you need, the heating was great, and it had the bonus of a laundry big enough to use as a drying room for ski gear. The bed was comfortable and plenty of linen and blankets were available. We are glad you were pleased with your accommodation as this impacts on the enjoyment of your holiday. We hope you consider us again next year. Thank you for your kind remarks. We certainly look forward to your return. The Kosciusko National Park provides Scenic Drives, Skiing, Bushwalking Mountain Biking and Fishing depending on the Season. Lake Jindabyne provides a lakeside walking and bike track, Boating Sailing and Fishing year round.